In September of 2018, Concordance announced our expansion into the state of Texas. With a continued focus on providing our high level of service and flexibility to every class of trade in the care continuum, we added sales professionals throughout the state with an emphasis on the post-acute market segment; skilled nursing, long term care, home health and hospice organizations. To support our existing customers in Texas, as well as the ever-expanding list of new accounts in this geography, Concordance opened a 33,000-square-foot facility in Grand Prairie, at the center of the Dallas-Fort Worth region. With four months of operation under their belts, the Grand Prairie team is functioning at top productivity, which is no small feat for a brand-new team of employees. 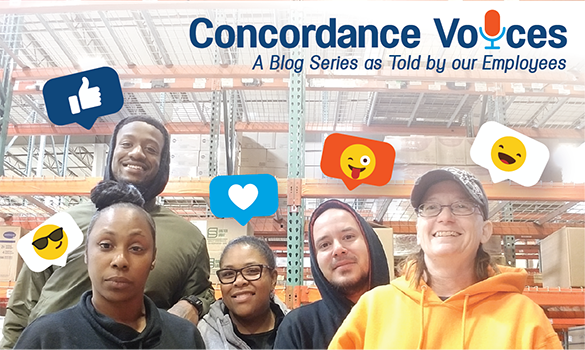 “We have a great group of people in Texas who have been able to provide excellent service to our customers since day-one on the job,” says Greg Benoist, Director of Distribution Operations for Concordance. With Duffey and her team running the Grand Prairie location, the sales professionals in the Texas region have a great support system for their expanding list of customers. In the last year, this geography has increased sales dramatically and our account managers, out in the field, continue to bring on new customers with the potential to double current volume over the next six months. “Our sales team is also fairly new to Concordance and with the strong support of the company, we were able to build a great foundation of customers at the Grand Prairie location in 2018. I am looking forward to our continued growth throughout the next year,” states Cody Smith, Regional Director for Medical Sales. As always, Concordance looks to the future and makes plans for how to increase our reach and open up new opportunities while supporting the customers that make all this possible. “We have experienced solid early success in these southwest post-acute markets, and we will continue to work hard to provide top-notch service to all of our customers. A future goal is to grow our Texas location and expand our focus to providing service to the entire care continuum in this region, including hospitals and health systems,” concludes Myers. 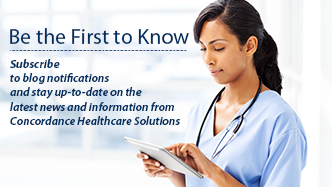 Concordance is one of the largest, independent healthcare distributors in the United States. Visit our website to learn more about us and our service offerings.